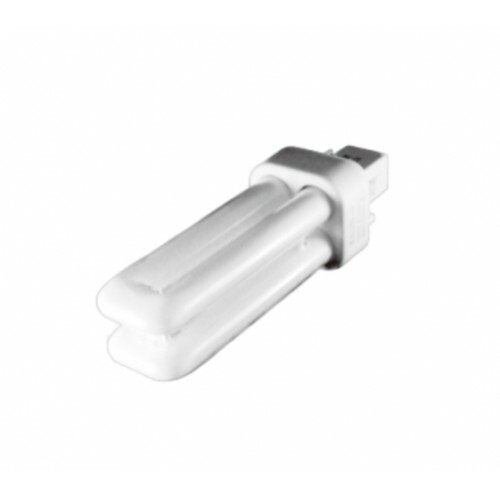 10W Low Energy Saving 4-Pin Kosnic G24q-1 - 10,000 Hour 4000K Lamp. Manufacturer's product names include Exun-D/E, Biax D/E, Dulux-DE and Lynx-DE. High-efficient tri-phosphor coating with excellent colour rendering. Premium performance with amalgam technology. NB: These light bulbs can only be used in a fitting that requires these 10w G24d-1 versions. Please note that you can only replace a G24q-1 lamp with a lamp of the same wattage as the one currently being used in the fitting.